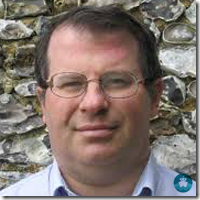 Ken Dark PhD FSA FRHist Soc FRAI SFHEA is a professional archaeologist and historian specialising in the Classical and medieval worlds and in early Christianity. He has also published on ancient long-distance maritime contacts, the politics of non-state societies, and the comparative study of states and empires. Ken lectured for three years at the University of Oxford even before gaining his Cambridge PhD in archaeology and history, and then at the University of Cambridge for seven years. Moving to the University of Reading, he was Director of the interdisciplinary Research Centre for Late Antique and Byzantine Studies for 15 years. The only person ever elected a Fellow of the Society of Antiquaries of London, a Fellow of the Royal Historical Society, a Fellow of the Royal Anthropological Institute and a Member of the Royal Institute of International Affairs, he has been awarded professorial titles from three universities and has over 100 academic publications, including 11 books. Ken has over 30 years of experience of continuing education lecturing and guiding archaeological tours. Ken�s many archaeological excavations and surveys have attracted such extensive worldwide media attention (1,200+ reports and TV documentaries in 64 countries since 2015) that he is probably the most widely-known British archaeologist of his generation. His discovery of a 1st century house in Nazareth, believed by many to have been the childhood home of Jesus, has been described as �one of the most extraordinary discoveries ever made�, �one of the most important archaeological discoveries ever� and �one of the greatest archaeological discoveries of the century�. All the 30 lecture series offered are based on talks successfully given previously to non-specialist audiences both in Britain and internationally over several decades - for example on tours, in continuing education classes or on TV. Other subjects in archaeology and history than those listed can be provided to suit itineraries. Ken's talks are always backed-up by his published academic work, drawing on the latest archaeological discoveries, and all are available as 45-minute powerpoint lectures, illustrated throughout with photographic images. They can be given in longer or shorter series (3, 5, 8, 14 or more lectures) and the content �tailored� to specific destinations. These are lectures which seek both to entertain and inform. Typical recent audience comments include: �inspiring and enthusiastic� -�very enthusiastic and knowledgeable' - 'his passion for the subject is infectious' - �incredibly engaging lecturing� - �informative and enjoyable� and �the energy and persuasiveness of the lecturer to convey the message and subject to someone who had no previous experience in this field was great�. 1. �Adventures in Archaeology� - describing in a narrative and humorous fashion Ken�s experiences of working in archaeology over 40 years, from digging �against the clock� on building sites in the City of London and working at Tintagel on Dark Age Cornwall, to finding a lost Byzantine palaces in the backstreets of Istanbul and discovering Biblical Nazareth. 2. �Uncovering the past - what archaeologists actually do� - an easy-to-follow explanation in plain language of how archaeology is done and what it can tell us about the past, illustrated with numerous examples - some surprising; some amusing - but all informative. 3. �Great Discoveries in Archaeology� - famous archaeological �finds� worldwide, such as the discovery of Troy, Tutankhamun�s tomb, Machu Pichu, the Easter Island statues and others - can be varied to fit the itinerary or passenger profile - each lecture covering one famous site. 4. �The archaeology of legendary people and places: from Homer�s Troy to King Arthur�s Camelot� - have you ever wondered whether there�s any truth in famous stories of ancient heroism and romance? Are any real places associated with them and, if so, what do they tell us? This lecture series explores what the latest archaeological and historical research tells us about the Trojan War, Antony and Cleopatra, Queen Boadicea, King Arthur, Tristan and Iseult and Robin Hood - again, which stories are discussed can be tailored to the specific cruise. 5. �Byzantium: explorations in a forgotten empire� - many visitors to the Mediterranean are familiar with Classical Greece or Rome but have at most a vague awareness of the Byzantine Empire although this played an equally important part in global history. This series of talks takes the listener with no previous knowledge of Byzantine history and culture on a voyage of discovery through the great lost empire of the Middle East. 6. �Friends, Romans and Countrymen: an introduction to the history of the Roman Empire� - an introduction to the development and decline of the ancient Roman state. 7. �Alexander�s Empire: an archaeological journey through the Hellenistic world� - an overview of the archaeology of the Hellenistic period from northern Greece to Central Asia. 8. �Making Western Civilization: an introduction to the history and archaeology of Classical Greece� - an introduction to the development of Greek civilization from the Mycenaeans (as background) to Alexander the Great, focussing on the monuments and city-states of the fifth-century BC, especially those of Athens, Sparta and Corinth. 9. �Treasures of Byzantine art and architecture� - many people encounter the art and architecture of the Byzantine Empire, and that of cultures partly derived from it, such as medieval Russia, while on cruises. This series of talks outlines the development of, Byzantine buildings, mosaics, frescoes, sculpture and pottery. 10. 'Traders or raiders? The archaeology and history of the Viking Age' - most people have heard of the Vikings as fierce warriors but are unaware of their role in the origins of European trade and in establishing towns. These talks give a more rounded picture of the Vikings, the geographical examples being tailored to the itinerary. 11. 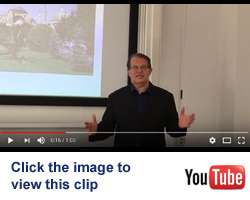 �Splendid Halls: ancient and medieval palaces� - each lecture describes the archaeology and history of an ancient palace, from Knossos, through the Roman imperial palace in Rome and Diocletian�s palace at Split to the Great Palace of Byzantine Constantinople in Istanbul and Charlemagne�s court at Aachen. 12. �Building a Third Rome: art and architecture of medieval Russia� - an overview of this subject, concentrating on Russian icons, churches and the Orthodox Christian and Byzantine origins of these. 13. �The Painted Church: art and architecture of the Byzantine and medieval Balkans� - an overview of this subject, concentrating on icons, churches and the Orthodox Christian and Byzantine heritage of these. 14. �From Cleopatra to the Copts: an introduction to the archaeology and history of Egypt after the Pharaohs� - an introduction to the relatively little-known and yet fascinating archaeology of Hellenistic, Roman and Byzantine Egypt, up to the Arab conquest�. 15. �Archaeology of the Holy Land� - an overview of the complex archaeology of modern Israel, the Palestinian territories and Jordan, for those with no previous knowledge of this topic. 16. �Digging up the Holy Land� - each lecture focussing on one important site or area, this series introduces the contribution of archaeology to understanding the Bible. The exact sites covered can be fitted to itineraries. 17. �The origins of Christian art and architecture� - an overview of the earliest known Christian paintings, sculptures, buildings and tombs, those dating from the second to fourth centuries in the Roman Empire. 18. �Romans, Christians and Jews: the archaeology of monotheism in the Roman world� - the history and archaeology of how monotheism developed in, and eventually transformed, the Roman Empire. Lectures focus on themes or sites, from the earliest synagogues to the first cathedrals. 19. �Constantinople: the lost city of marble and gold� - Istanbul is a popular stopping-point for cruises, but while it is a Turkish city today, for 1000 years as the city of Constantinople it was the capital of the Byzantine Empire. The lecture series provides an easily-followed account of the history and layout of the Byzantine capital and what can be seen of it in Istanbul today. Ken directed archaeological projects in Istanbul between 1998-2018, including the most recent work at Hagia Sophia, and has a detailed knowledge of both the Byzantine and modern city. 20. �Ages of the Eternal City: an introduction to the archaeology of Rome from Augustus to Constantine the Great� - the archaeology and architecture of imperial Rome. 21. �Making Christian Rome: an introduction to the city�s early Christian archaeology� - from the catacombs to the Vatican, an archaeological exploration of how the imperial capital became a great Christian city. 22. �From Centre to Periphery: Classical and Byzantine Athens� - an introduction to the archaeology of Classical and Byzantine city through surviving buildings and works of art. 23. �Exploring Jerusalem from the First Temple to the Arab conquest� - an introduction to the development of Jerusalem as a great city through its visible archaeology. 24. �Ephesus - city of St. Paul� - an outline of the development of Ephesus, concentrating on the Roman and Early Byzantine periods, as seen through its visible buildings. 25. �Thessaloniki - second city of Byzantium� - the pre-Ottoman development of Thessaloniki, concentrating on its role as the second most important Byzantine city after Constantinople (Istanbul), seen through its archaeology and standing buildings. 26. �Ancient mariners: sea travel, trade and exploration in the pre-modern world� - from fanciful theories about long-distant voyages to the amazing reality of how interconnected by sea ancient peoples really were - contacts between the Mediterranean and East Asia, pre-modern Pacific interconnectedness, the prehistoric and early historic colonization of oceanic islands, and the Viking exploration of the Atlantic and Arctic. 27. �Politics without states: the anthropology and archaeology of non-state political organization� - archaeology meets anthropology in exploring how people organised societies before, or outside of, states- we meet anthropological concepts such as �the �chiefdom� - classically formulated in the study of the Pacific (Polynesian) islands including Hawaii - the complex hunter-gatherers of the Pacific North West, Maori warriors, and the �Big Men� of Melanesia. Before 1900, most of humanity lived in non-state societies and the lecture series ends by exploring the contact and interaction between states and non-state peoples from the Celtic encounter with Caesar to Captain Cook�s voyages. 28. �The origins of the state: an archaeological introduction� - after an introductory lecture this consists of a series of lectures covering the earliest known states in the world: Mesopotamia, Egypt, the Indus Valley and the primary states of South and Central America. 29. �China, Persia and Rome: superpowers of the ancient world� - a comparison between these three empires, and a consideration of contacts between them, from the 1st century BC - 7th century AD. 30. �Land of Emperors: an introduction to the archaeology of Ancient China� - an introduction to the development of the ancient China state, illustrated by its art and architecture, the exact examples used being tailored to itineraries. Note: Ken can also provide a large number of straightforward destination-specific lectures and geographically-based archaeology overview lecture series, with each lecture describing an individual location, to fit specific itineraries, for example �Ancient cities of the Ionian coast� or �Archaeology of the Greek islands�. He has extensive experience of guiding tour groups around archaeological sites and cities in the Mediterranean.